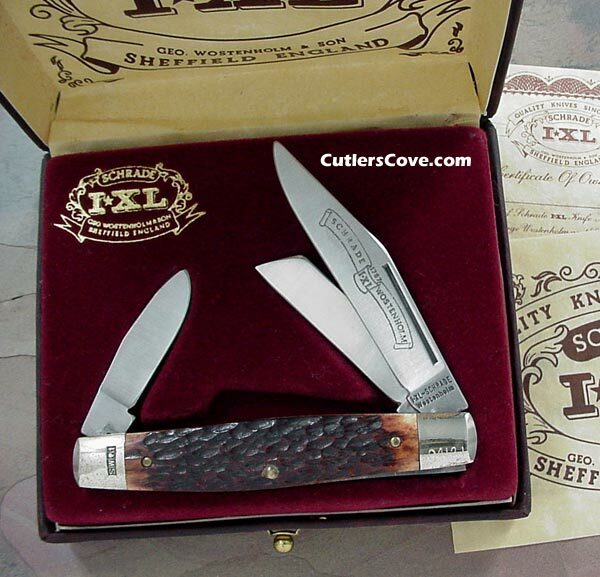 Schrade IXL stockman genuine bone handles mint with original box and parchment papers. 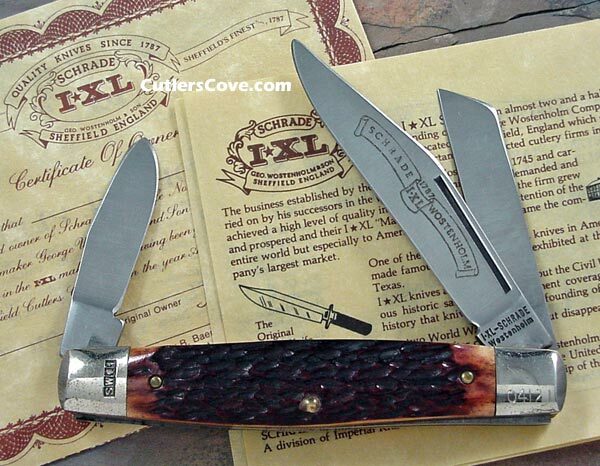 It is 4" closed with nickel silver bolsters, brass liners and stainless steel blade. Rear bolster deep stuck with traditional type hallmark. The knife was made in Sheffield, England. It is serial number 04121 and was made in 1981 based on the hallmark. Clip, spey and sheepsfoot blades. The bolsters could use a little polish because of light tarnish but the knife is still mint and has not been used, carried or sharpened. IXL was the "Maker's Mark" for the business established by George Wostenholm in 1745 in England. IXL and Schrade are no longer in business. More information can be found in American Blade Oct. 1980.